New Delhi, Feb 22 (IANS) With the protests in Libya cascading, the Indian government is is readying a contingency plan to evacuate its nationals residing in the violence-torn country, even as an Indian was killed in a road accident in the North African country. An Indian was killed and two others injured in a road accident Feb 19, the Indian embassy in Tripoli said, while stressing that the death was not due to due to gunfire in the wake of protests. Murugaiah, a contract worker from Tamil Nadu, reportedly succumbed to his injuries Monday. The other Indian nationals are still in the hospital and recuperating, the Indian embassy said, adding that it was in regular touch with the Medical Center. The story of Murugaiah’s death being a result of firing appears to be incorrect, the embassy said while alluding to some media reports. India’s ambassador to Libya Manimekalai told CNN-IBN that the government will help in bringing back the body of the deceased, but added that certain procedures will have to be followed. She denied reports of Indians being trapped in a mosque. New Delhi is keeping a close watch on the developments in the violence-torn North African country. ‘The situation is being closely-monitored by the external affairs ministry and we are in constant touch with the ambassador there. I am happy to inform that all Indians are safe in Libya,’ External Affairs Minister S. M. Krishna told reporters outside parliament. Krishna added that the Indian mission in Libya was in constant touch with Indian citizens there and ‘whatever needs to be done, will be done’. ‘We don’t differentiate between mazdoors and non-mazdoors (labourers and non-labourers). Every Indian is precious to us,’ he said when asked about the help being provided to workers there. The external affairs ministry is coordinating with other ministries and is ready to fly in planes or send a ship with medical teams to help around 18,000 Indians living in that country if the situation takes a turn for the worse, informed sources said. Krishna is also understood to have met Prime Minister Manmohan Singh and briefed him on steps to ensure the safety and security of Indians in Libya. Sources, however, added that the government had no immediate plans of evacuation and was monitoring the situation closely. There was a marathon internal meeting on the situation in the North Africa-West region, with Rajeev Shahare, joint secretary in charge of the region, reviewing measures for the safety of Indians and fine-tuning potential contingency plans. ‘Saw on Stratfor that Turkish Air flight to evacuate their citizens from Benghazi denied permission to land. Returned to Turkey…Please understand that we have 18000 Indians there. It is not a question of evacuating a few hundred people…Situation Room numbers: +91-11-23015300, 23012113, 23018179. Email:controlroom@mea.gov.in’, Foreign Secretary Nirupama Rao tweeted. The Indian government has also set up a committee to monitor the situation in Libya and prepare plans to meet any eventuality in the wake of the unprecedented protest against the four-decade old Muammar Gaddafi regime in that country. ‘The committee would comprise the foreign secretary and overseas Indian affairs secretary among others. This committee would be planning to meet any eventuality,’ Overseas Indian Affairs Minister Vayalar Ravi said here Monday. Libyan Ambassador to India Ali al-Essawi had also reportedly resigned in protest against the Muammar Gaddafi government’s violent crackdown on demonstrators rooting for a change to his four-decade old rule. The Libyan envoy has called on the five permanent members of the UN Security Council to be fair and honest to protect the Libyan people. With the popular unrest spreading in the Arab world, the external affairs ministry has set up a round-the-clock situation room to assist Indians in in the Middle Eastern and North African regions, home to an over 5-million strong Indian diaspora. This entry was posted on February 22, 2011 at 11:48 PM	and is filed under India Forgotten. 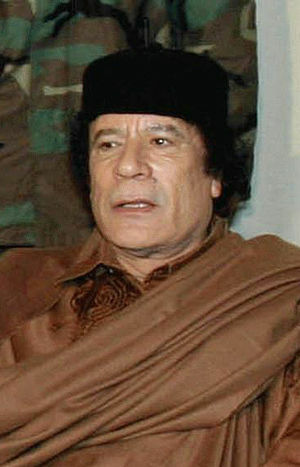 Tagged: Africa, Benghazi, External Affairs Minister, India, Indo Asian News Service, Libya, Muammar al-Gaddafi, Muammar Gaddafi, North Africa, regime changes, revolutions, trouble, unrest, war. You can follow any responses to this entry through the RSS 2.0 feed. Both comments and pings are currently closed.